Math is something you use every day, many times without even realizing it. When you calculate travel time, figure out correct change, budget expenses, or measure ingredients for cooking, you are using mathematical skills. 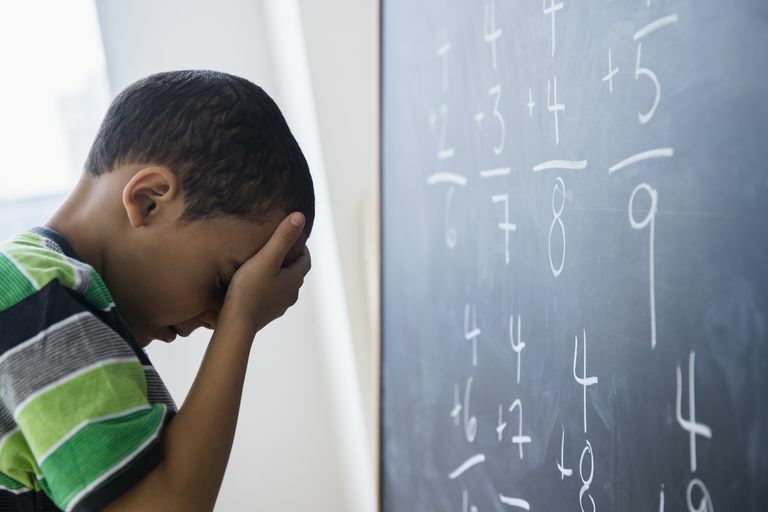 But solving math problems can be an especially frustrating process for many children and adults with attention deficit hyperactivity disorder (ADHD). Students with ADHD tend to have higher rates of math learning disabilities as compared to the general student population. Even those students with ADHD who do not qualify for a math disability may still have a terrible time with math. Though these challenges may first be seen in the school years, they can certainly continue and impact math abilities even into adulthood. Mastering math is a complex process. Breakdowns in the learning process can occur in several areas including memory, attention, problem solving and organizing—all areas that can be challenging for students with ADHD. In the early stages of learning, a student must learn about quantities and how they correspond to numbers. The student must also memorize simple math facts, rules, and vocabulary and then be able to recall those learned facts from memory very quickly. Math is highly cumulative. A student builds on what he or she has learned previously for subsequent learning. A strong foundation in math is necessary as math tasks become more complex. You might think of learning math concepts as similar to the stacking of building blocks—each underlying block (or math concept) supports those that follow. When the foundation is weak, the whole building process is in jeopardy. As math tasks become more complex the student must be able to recognize patterns and automatically recall math facts and rules to quickly solve steps in the problem. Working memory impairments (common for students with ADHD) can impede a student's ability to do this. Deficits in working memory make it hard for a student to hold information in mind and keep track of that information while performing the multiple steps involved in many math computations. Learning math requires sustained attention to memorize facts and sequence of steps while self-monitoring and checking over answers. This can be difficult for students with ADHD who struggle with focus and can easily lose their way or become entangled in multiple elements of a math problem. Attention issues can also impede the speed at which a student can move through math computations, sort out extraneous information, and follow multi-step procedures. For students with ADHD who tend to have a slower speed of processing, it can take a lot of energy just to get through problems and certainly affects math problem-solving performance. To accurately solve math problems, a student must pay attention to detail, remember and follow directions, and plan through the process in an organized and sequential way. One careless mistake and the computation is off. Impulsive decisions, rushing through problems, even poor fine motor coordination that affects handwriting skills can result in math errors. Chris Dendy, a leading ADHD expert and a former teacher with more than 35 years experience working with students with ADHD, explains more about why math can often cause problems for these students. "Since learning is relatively easy for most of us, sometimes we forget just how complex seemingly simple tasks really are, for example memorizing multiplication tables or working a math problem. For example, when a student works on a math problem, he must fluidly move back and forth between analytical skills and several levels of memory (working, short-term, and long-term memory). With word problems, he must hold several numbers and questions in mind while he decides how to work a problem. Next, he must delve into long-term memory to find the correct math rule to use for the problem. Then he must hold important facts in mind while he applies the rules and shifts information back and forth between working and short-term memory to work the problem and determine the answer." Chris A. Zeigler Dendy, M.S., "Executive Function...'What Is This Anyway? '": ATTENTION Magazine, February 2008. How Do Section 504 Accommodations Help Students with ADHD?